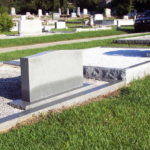 Coping refers to the stone “walls” that are used to enclose some cemetery lots. 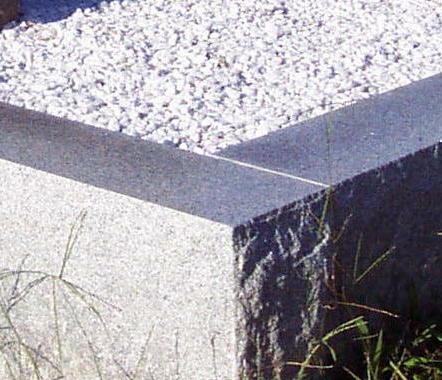 Coping is the one item which requires the most amount of time to install even though most companies spend the least amount of time on it. 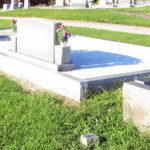 If your cemetery has coped lots, notice how many of them are crooked, uneven, not level, have no seemed joints, and generally are falling apart. 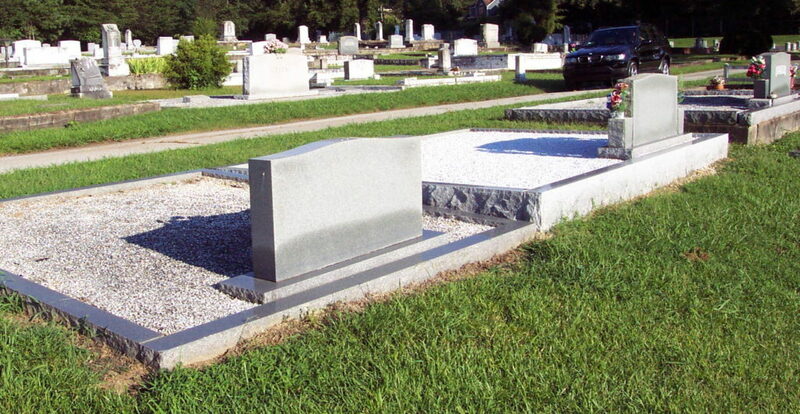 Now look at our work … you can see why we’re able to provide a 50 year warranty on all of our work – even coping. 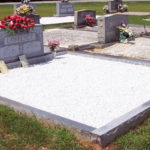 Granite or marble is the best choice since they match the monument on your lot and are permanent. 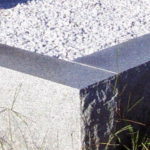 We use only the highest-quality granite and marble for coping, not “seconds” or discarded / inferior scraps. We level each piece of coping with the lot and use an industrial joint compound on each piece. Why is it Difficult to Find Quality Coping Jobs? It is a time-consuming labor-intensive job that requires experience and a commitment to get the job done right. 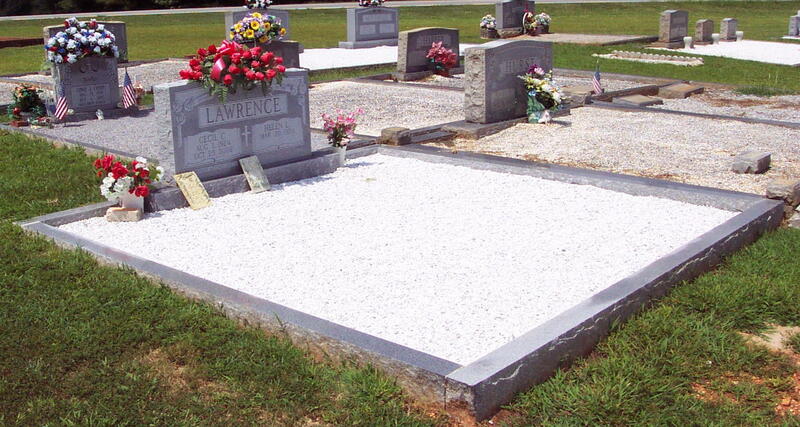 Leveling the stone over such a large area is very difficult as is installing a proper foundation. 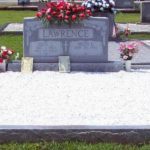 Our experienced craftsmen (three of which have over 40 years experience each) have done thousands of coping jobs and will do the job right!